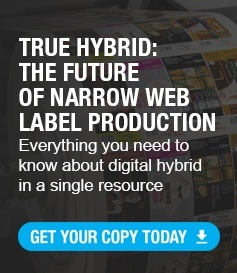 Following a successful presence at Labelexpo Americas in Chicago, Mark Andy has confirmed that the first of its Digital Series hybrid solutions to be sold in Europe has been installed at Arti-Bau in Poland. Founded in 2009 as an advertising and overseas employment agency, Arti-Bau specializes in the production of four-color digital labels which it sells into the domestic Polish market and exports to nearby Germany and other European countries. The Digital Series press, recently installed at Arti-Bau’s plant in Ślęza, some 400kms south west of Warsaw near the Czech border, will add to the company’s existing capacity for short run, fast delivery of labels, tickets and tags, all of which can be personalized as required. The solution is a 13 inch (330mm) web width with CMYK+W and two flexo stations. 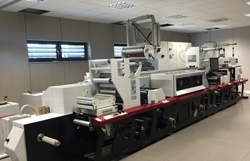 Options include a web turnbar, laminator, cold foil, and a Compact Parallel Web Translator for multi-layer structures.